Are you getting a dental implant? If you are, this can be exciting. You no longer need to worry about the embarrassment of having a missing tooth. You no longer need to worry about having trouble chewing either. 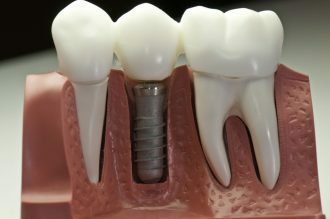 Of course, if you are going to be getting an implant from your dentist in Woodridge, IL at Machnowski, DDS, it is a good idea to have at least a basic understanding of dental implants aftercare. Fortunately, it is relatively easy. Once you get your implant, you will want to wait until the local anesthetic is worn off before you drink anything. In addition, you will want to avoid hot foods and hot drinks on the first day after the implant. The only thing you should have is cold drinks. It is also important to make sure you do not do anything to disturb the area of the implant, such as pressing against it with your tongue or your fingers. Dental implants specialists will also advise that you do not undergo any strenuous activity for the first 48 hours after getting the implant. When you get the implant, you can expect to have some bruising and swelling. This tends to occur for several days, but it will eventually subside. It is possible to reduce the swelling by using an ice pack wrapped in a towel. You can hold it on your cheek for 10 minutes and then take a 20-minute break. After the first 24 hours, you might want to apply some heat. Most of the time, you will not have any problems with pain. You can take the typical over-the-counter medications that you would normally use to deal with a headache. For the first few days, you should avoid brushing the surgical site. However, as it starts to heal, you will want to keep the area clean. You can also use hot salt rinses in your mouth to help with healing during the first week. Do you have more questions about dental implants aftercare? If you do, make sure you contact the implant dentist at our facility. 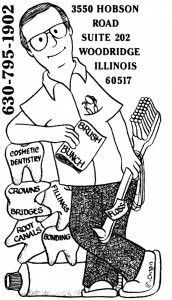 You can check out the contact page or you can call us at 630-795-1902.